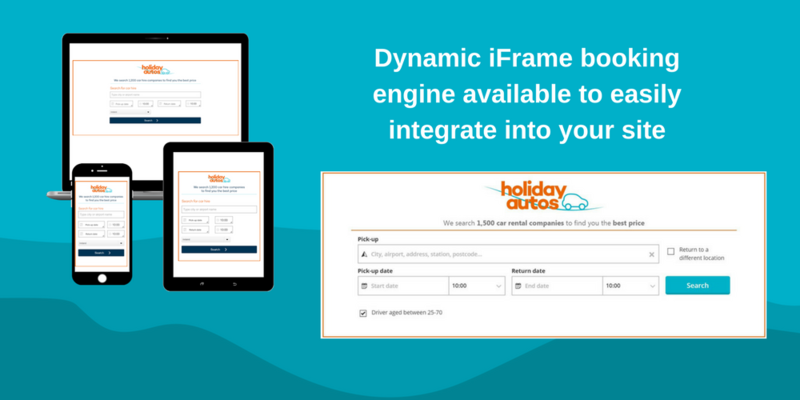 Integrate our iframe solution to easily allow the booking process to begin on your site. Our iFrame can be customised in width and height in order to make it fit seamlessly into your site. Once integrated the customer can carry out a search in 30,000 locations worldwide from your site. Car hire results will return in a seperate tab not to direct people away from your site.